Do you ever wish you could rewind and do over past events? I wish I could do over moments almost everyday. I make many mistakes on a daily basis. The best part about messing up is the opportunity to try again. Life is like a drawing. Sometimes the artist places a stroke in the wrong place, then erases the mistake to allow space to create a better stroke. Instead of kicking yourself for screw-ups, acknowledge the mistake, make amends, then try again. Grace is perfect for moments like these. There are 86,400 seconds in a day. 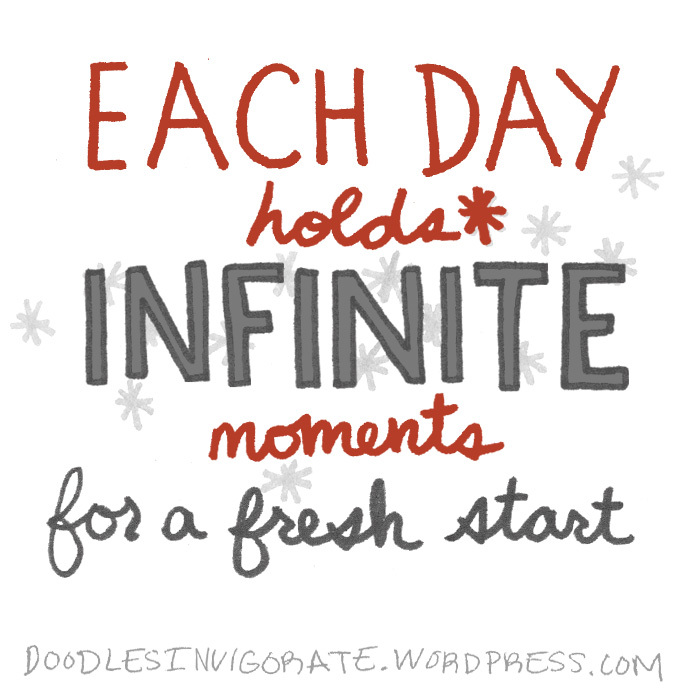 That’s a lot of moments for a fresh start! I try to look at things one day at a time, while also seeing today’s reality as tomorrow’s success. Do you understand what I mean? Yup! I like the way you stated that.